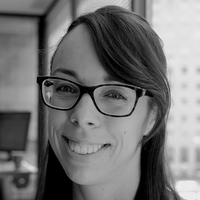 Kate (McGovern) Tornone is HR Dive's Senior Editor. She has covered employment law as a business-to-business journalist for more than 10 years and comes to Industry Dive from BLR. Kate hails from south Jersey — a fact about which she is inexplicably proud. Is it time to change how we talk about the FMLA? Is HR a 'high-risk' job that warrants drug testing? New I-9 takes effect soon — but will a delayed rule force yet another update? DOL wants to know: Should it halt the fiduciary rule?